I felt lucky to join November’s annual gathering of Bond fanatics for debate, discourse and delicious cocktails, a celebration of all things 007 with professors and their students. Learn why SAMLA is fast turning into Bond Brains Central. When my friend and fellow 007 collector Carlos Perez contacted me about SAMLA ’88, an academic conference in Jacksonville, Florida, I was thrilled to a kill. I’d heard how previous James Bond conferences, at Hofstra University in New York, and in the Chicago area where Bond continuation author Raymond Benson lives, were like a party for the panelists—if talking in-depth about all things Bond is your party scene. SAMLA, the South Atlantic Modern Language Association, gathers annually at varying locations in the Southeast U.S., bringing over 1,000 faculty, undergrads and professional degree students to explore any topics that want within the theme of that year’s conference. Yes, the blog came into being in January 2017, meaning that a true 1-year anniversary would be next month, but conversely, given that January is the first month in a given year, then late December counts, mathematically, as a completed calendar year, no? As such, it feels a lot simpler to look already back at the year that was and evaluate how things have gone during Year 1 for Double Oh Aficionado and its host. In mid-December, The Hollywood Reporter’s Awards Chatter podcast had a wide-ranging interview with Eon Productions boss Barbara Broccoli. SCOTT FEINBERG (Host): Would you ever hire a person of color or even a woman to play James Bond one day? Could it be Jamie Bond? 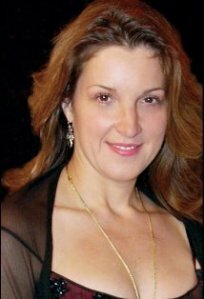 BARBARA BROCCOLI: Anything is possible. Right now it’s Daniel Craig and I’m very happy with Daniel Craig, but who knows what the future will bring? That’s what is so exciting about Bond. James Bond 007 News Updates Create a free website or blog at WordPress.com.